Since EU accession in January 2007, ADEPT has been in the forefront of a campaign for flexibility in enforcement of regulations. Neither the EU nor the Romanian Government wish to threaten tradition small-scale food production, such an important part of the culture of any country. 852/2004 Article 13: authorities should be flexible in the standards of equipment and safety measures they impose on small producers, so long as it does not compromise food hygiene. EU DG SANCO Guidance on 852/2004: requirements should be adapted to accommodate traditional methods of production, and the needs of producers in geographically disadvantaged regions. However, small producers in Romania feel threatened and confused by inconsistent application of regulations, at points of production and at local/traditional markets. It is essential that food hygiene policy is developed transparently, consulting representatives of small/traditional producers, and is then transmitted clearly to inspectors and producers at local level. As part of this campaign, in early 2008 ADEPT, Milvus and WWF published a booklet on Minimum Food Hygiene Conditions, with support of the EU delegation Bucharest and of the Romanian National Agency for veterinary Health and Food Hygiene. This is an important clarification, which will enable small producers to resist the threat represented by excessive regulations. 40,000 copies in Romanian and 10,000 in Hungarian were distributed throughout Romania in 2008. 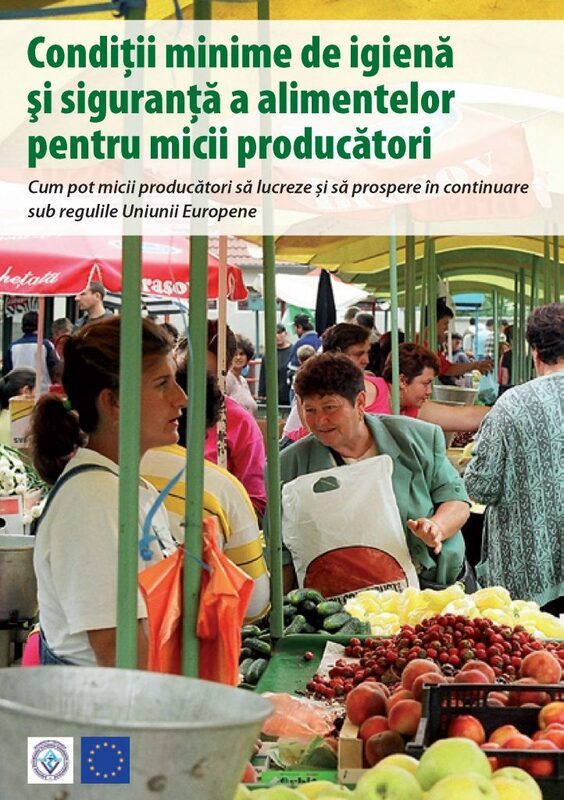 Booklet published with EU and Romanian Government support, clarifying the simpler, more flexible hygiene conditions required of small-scale food producers, allowing traditional food production to continue. Can be dowloaded in English, Romanian or Hungarian version. 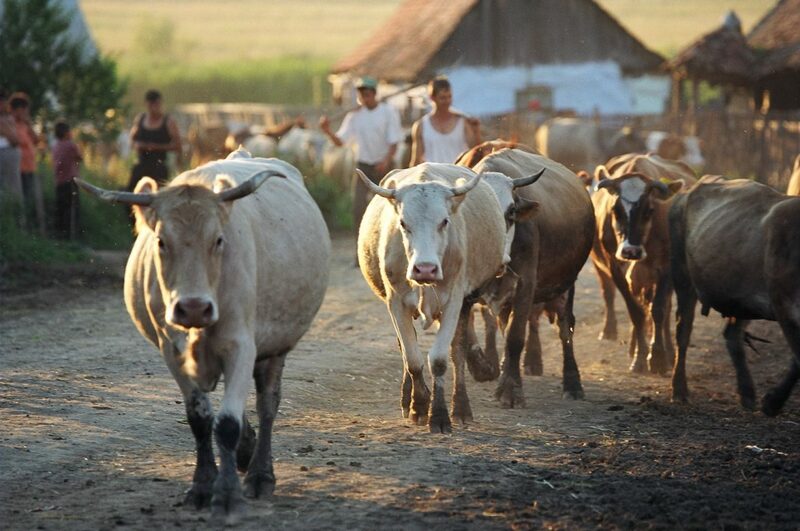 In the Târnava Mare area there is a collapse in the market for milk. Cow numbers have fallen by 25% in the last year alone. The cause of the loss of market is that small farmers cannot guarantee the quality and quantity necessary to attract the milk processors. Many villages have been left without any milk collection. ADEPT, in a project funded by Innovation Norway, worked with farmers to improve milk hygiene through workshops with farmers, discussions with village dairy associations, on-the-spot testing at communal milk collection points. Through this project, eight villages have had their milk collection points improved and milk collection reinstated, giving income again to 65 small-scale farmers. Fundatia ADEPT has also worked to create effective and attractive information networks, including via improved-capacity farmer associations. 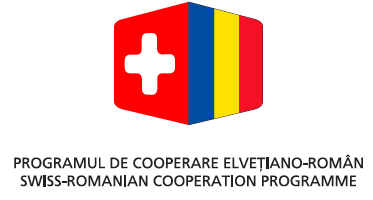 Information packaged appropriately and delivered to farmers and through associations include guides for building milk collection and food processing plants offering minimum conditions for authorisation, with plans freely available in hard copy or internet for use by any community group in Romania. 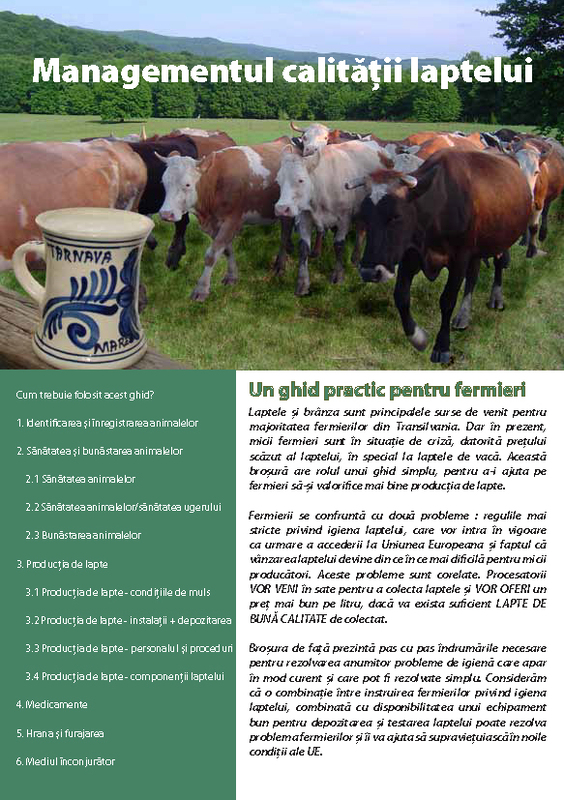 This simple guide is helping thousands of farmers across Romania achieve higher milk quality, and higher milk prices, by improved management practices many of which require no investment of money. 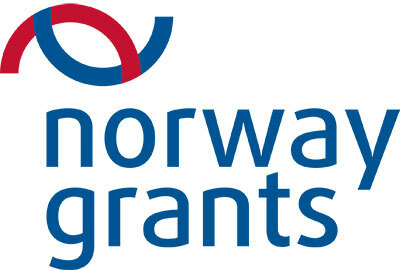 Support rural communities in bringing local benefits from the traditional land management.